The introduction of Logbook of the World (LoTW) support for CQ awards - beginning with WPX - has been delayed by the ARRL's need to devote resources to the introduction of online DXCC applications (see below) and explanations regarding its new DXCC fee structure. A beta test of the system by a small group of amateurs active in WPX will begin at the end of April. ARRL officials now anticipate a full launch of WPX support on LoTW by mid-May. We will keep you updated as developments warrant. Meanwhile, the AMSAT News Service reports that hams in and around the Olympic venues will have temporary limits placed on their operations on 70 centimeters as well as parts of the 2.3 and 3.4 GHz bands between June 28 and September 23. This will be to accommodate the spectrum needs of the world media as well as teams themselves and visitors to the games. Specifics are available at <http://www.uk.amsat.org/6574>. The man who helped scuttle plans to "phase out" the use of Winlink 2000 by Army MARS is now in charge of the program. According to Army MARS, Stephen G. Klinefelter, 61, is a retired Signal Corps colonel who is now a civilian employee of the U.S. Army Network Enterprise Technology Command, under which MARS operates. Late last year, the Pentagon announced that it would be phasing out MARS's use of the Winlink 2000 messaging system due to security concerns, despite the fact that it is widely used by many state and local emergency management agencies with which MARS would be expected to work during a disaster or major emergency. Klinefelter persuaded the army's Chief Information Officer, Lt. Gen. Susan Lawrence that the resources of amateur radio far outweighed any risk from enemy hackers. She ordered an exemption for Army MARS. Klinefelter assumed the position of Army MARS Chief upon the retirement of Jim Griffin, who held the spot since 2009. Klinefelter is remaining in his primary post and will be helped with MARS matters by a new MARS Program Officer, who had not been named as of press time. 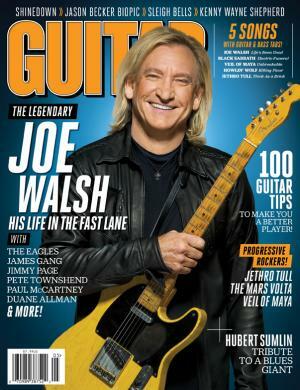 Rock superstar Joe Walsh, who is also WB6ACU, is featured on the cover of the May issue of Guitar World magazine. 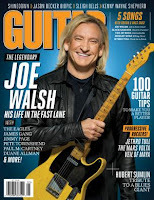 In the accompanying interview (timed to mesh with the June 5 release of his newest solo album, "Analog Man"), Walsh makes several references to amateur radio, including a discussion of how the technical knowledge he gained as a ham has helped him work with guitars and their sound. He also discusses introducing the prototype Talk Box to Bob Heil, K9EID, who went on to manufacture and market them to rock musicians. The FCC in early April requested comments from the public on amateur radio's role in emergency communications and whether private land use regulations impede hams' abilities to perform that role. The request came about as a result of the inclusion in the law that extended payroll tax cuts through 2012 of a section requiring the FCC to make a study of those issues and report back to Congress in six months with recommendations. The Docket Number is DA 12-523. Comments are due by May 17. The ARRL additionally asked hams to share their personal experiences with amateur radio emergency communications and with deed restrictions and so-called "CC&Rs." The League requested that input by April 25 so it could include the data in its FCC comments, which were due by May 17. The FCC's report to Congress is due by the end of August. NOTE: The following updates information published in the May issue of CQ and previously on this news page. Any digital mode that meets the technical restrictions of the new FCC rules for the 5 MHz band is now permitted. This, after the National Telecommunications and Information Administration (NTIA), which controls primary access to the band, indicated in a letter to the ARRL that it had no objection to any specific modes, as long as they fall into the category of a 2K80J2D emission and have a bandwidth of 2.8 kHz or less. The ARRL, relying on old NTIA advice (but the most current in written form), had originally said the agency asked that only PSK-31 and PACTOR-III be used on the band. With this clarification, any digital mode meeting the above standards is permitted. For more details, see <http://www.arrl.org/60-meter-faq>. ARRL members may now partially apply online for DXCC awards and endorsements. According to the ARRL website, the new system, which debuted April 2, allows users to use an online form to select cards that he/she would like to submit. The list is then printed and taken, along with the QSL cards, to an ARRL card checker or sent to League headquarters. It appears that the biggest change is that the application fee (which is lower when using the online form) is collected online by the ARRL, rather than having to go through the card checker. More details are available at <http://bit.ly/HiO6Ke>. The number of applications for new amateur radio licenses in the first three months of 2012 was 30% higher than for the same period last year, according to the ARRL. There were over 7500 new FCC licenses issued between January 1 and March 31, 2012, according to the League, significantly outpacing the 5800 new licenses issued in the first quarter of 2011. However, this is still below the first-quarter total for 2010, which was just over 8200. Nonetheless, the ranks of amateur radio licensees in the U.S. remains at an all-time high, with the total now exceeding 704,000. ARRL/VEC Manager Maria Sommer, AB1FM, also noted in the ARRL Letter that the number of license upgrades was also up this year versus last year, although not so dramatically, rising 6% from 2011. Technicians, Generals and Extras all are at all-time highs. Just a little more than three months after its introduction, the Popular Communications Monitoring Station registration program has signed up more than 1000 participants. The program, modeled after the old WPE and WDX registration programs of the 1960s and '70s, assigns callsign-like identifiers to active shortwave listeners and scanner monitors. The magazine plans to introduce awards as part of the program as well. For more information, or to register, visit <http://www.popcommmonitors.blogspot.com/>. In an April Fool gag most greatly appreciated by hams, Google on April 1 announced the introduction of "Gmail Tap," a combination of hardware and software to enable people to send e-mail messages via Morse code. The system would use special smartphones in which the usual keypad is replaced by two buttons … one for a dot, the other for a dash. No word, however, on whether you'd be able to plug in your paddles to send faster! The Japan Aerospace Exploration Agency announced plans in late March to launch five satellites operating in the amateur bands … four of which are slated to be launched from the International Space Station. One of the satellites, named HORYU-2, was scheduled for a May 17 launch, so it may already be in orbit by the time you read this. The others, according to Newsline, are slated for a late July launch to the ISS, along with the JEM Small Satellite Orbital Deployer, a device that will enable the launch of small satellites from the station's robotic arm. The satellites scheduled for that launch include two built in Japan - WE-WISH and FITSAT-1 - plus the TechEdSat from San Jose State University in California and the F-1 satellite, built in Vietnam. Initial plans call for all four to be launched from the JEM deployer in late September. 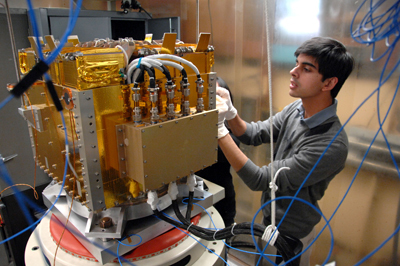 Students at the Naval Postgraduate School have developed an auxiliary payload platform that will permit the launch of as many as 24 cubesats at a time. AMSAT News Service reports that the NPS CubeSat Launcher is designed to release satellites one at a time by opening spring-loaded doors at the desired orbital altitude. The first launch, slated to carry 11 cubesats, is planned for this August. More information is available at <http://tunyurl.com/CubeSat-NPSCuL>. Editor's note: Success for either or both of these launchers (the NPSCuL and Japanese JEM projects) would open the door for greater availability of small satellite launches at much lower cost, since the costs would be shared among developers of the different satellites sharing the launch. The AMSAT News Service lost one of its two editors in April with the passing of Dominick "Dee" Interdonato, NB2F, at age 64. Dee was also "Mr. AMSAT" in the New York/New Jersey area, serving as the amateur satellite organization's regional representative at hamfests, club meetings and other events. Dee was a Vietnam veteran, and an amateur musician. He was retired from the Port Authority of New York and New Jersey, where he had been supervisor of the Radio Shop. The family asks that donations in his memory be made either to the Vietnam Veterans of America or to AMSAT. Amateurs using the 23-centimeter band (1240-1300 MHz) need to be aware of a new generation of radar systems being deployed by the Federal Aviation Administration that operate between 1240 and 1350 MHz. The ARRL Letter reminds hams that the amateur allocation on this band is secondary to radionavigation (radar) and certain types of satellites, and that those primary users must be protected from interference. The ARRL says it is in contact with FAA engineers to determine the areas in which accommodations may be required to protect the new Common Air Route Surveillance Radar system. (Hicksville, NY) April 17, 2012 -- Retired FCC amateur radio enforcement chief Riley Hollingsworth, K4ZDH, has been named a CQ magazine contributing editor, it was announced today by CQ Editor Rich Moseson, W2VU. Hollingsworth will succeed "Washington Readout" editor Fred Maia, W5YI, who recently became a Silent Key. Hollingsworth, a ham since 1960 and a longtime FCC attorney, became a household name in amateur radio in 1998 when he was named Special Counsel for Amateur Radio in the Commission's newly-created Enforcement Bureau. His highly-visible enforcement actions were cheered by a vast majority of the amateur community after more than a decade during which FCC enforcement on the ham bands was virtually non-existent. Hollingsworth retired from the FCC in 2008, but has continued to be in demand as a speaker at hamfests and radio club meetings. His new monthly column - to be titled "Riley's Ramblings" - will incorporate "Washington Readout's" coverage of legislative and administrative actions that affect amateur radio, as well as additional topics of importance and/or interest to CQ's readers, all related in the distinctive common-sense style that has made Riley a sought-after speaker. His first column will appear in the July, 2012, issue of CQ, and will explain why ongoing FCC enforcement actions since his retirement have been somewhat "under the radar." "We are pleased and honored to have Riley joining our staff," said Moseson. "His stature in the amateur radio community is second-to-none, and his ability to explain sometimes-arcane legal and regulatory language in plain English fits right in with CQ's long-standing dedication to providing practical, useful information for our readers to help them get the most enjoyment possible out of the amateur radio hobby. I look forward to a long and fruitful relationship." "I am delighted to have the opportunity to contribute to CQ and to amateur radio generally," noted Hollingsworth. "As a 13-year-old Novice in South Carolina nervously making my first contact with an overheated Johnson Challenger and a barely effective vertical, not in my wildest imagination did I think I would be writing for a ham radio magazine someday. I am very appreciative of this offer and I hope I can be a valuable asset to the magazine." Hollingsworth holds a Master’s degree from the University of South Carolina, and a law degree from Wake Forest University. He lives in Gettysburg, Pennsylvania, with his wife, Pat.